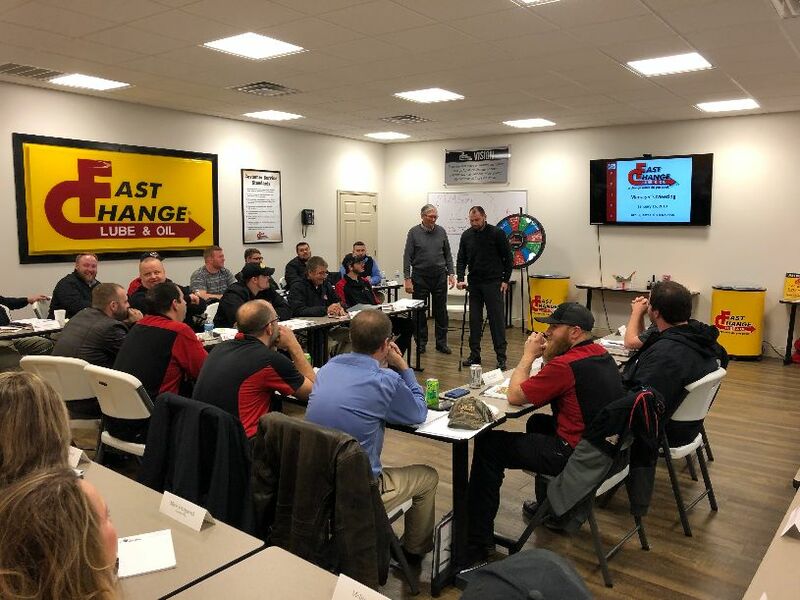 Corporal Matthew Bradford Speaks Words of Hope to the Fast Change Team – Fast Change Lube & Oil, Inc.
Fast Change Lube and Oil held its quarterly manager meeting on Wednesday, January 16, 2019.
sole purpose and duty to serve this country. After Matthew woke up, he was completely blind in both eyes and both of his legs were gone. he even got a bachelor’s degree from the University of Kentucky in 2017.
inspire and encourage people to live beyond their comfort zone. Dependability, and Excellence, also known as PRIDE. Matthew says pride is important in any task or job we might face. at work is making a difference in someone else’s life is very important and very beneficial”. Matthew Bradford resides in Lexington, Kentucky with his wife and their three children. Military Missions, INC located In Lexington, Kentucky. 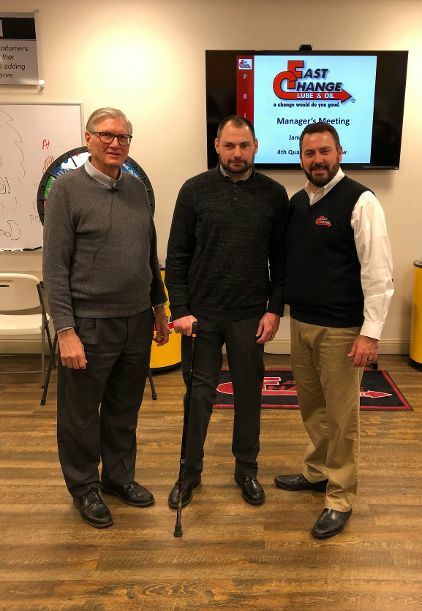 raised $30,000.00 for Military Missions in 2018. For more information on Military Missions, INC please visit https://military-missions.org.